On both sides, after which the apartment is aligned, you can see in the garden of the farm. Around 30 fruit trees are the stock of apple, plum and cherry trees - hence the name of the apartment. This holiday flat can be reached from the inner courtyard at ground level and offers space for up to 6 people on an area of ​​approx. 100m2. 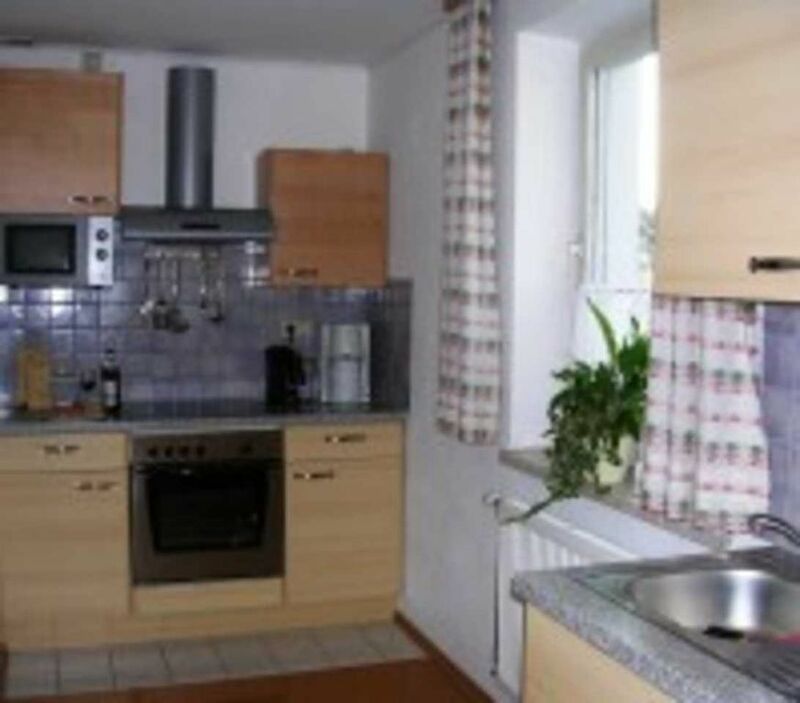 The kitchen is perfectly equipped (fridge, electric stove with oven, coffee maker, blender). Eating and living area are housed in a separate room. The highlight of the living area is a woodburning stove. A large table (up to 10 persons), as well as a cozy cozy corner (couch, carpet) and a satellite TV complete the interior design. The bathroom is spacious and has a shower and a bathtub!Pets are allowed in this holiday flat.